Seatbelts were invented with one thing in mind - protect the occupants of a vehicle from catastrophic injury. Airbags were invented for the same reason. But seatbelts only work when they are worn, and airbags can be disabled. Why on earth would anyone do such a thing? Ignore or disable something that is there to save my life? Read on, fearless reader. Read on. 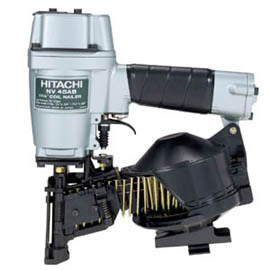 Companies that produce power tools engineer tool-specific safety devices to protect the consumer. A razor-sharp table saw blade spinning at over 3000 rpm seems quite dangerous, and it's very comforting having a blade guard protecting my fingers. Unfortunately it's often very easy to remove these devices, though only the clinically insane would do so. I suppose they may think the damned blade guard is annoying and just gets in the way. So why am I telling you this? Obviously there's a reason. Don't get so antsy. An otherwise-healthy 35 year old man was brought to my trauma bay having been shot in the abdomen. I took a quick look and saw a tiny pinhole under his right rib cage. "Now wait a second, Doc, this guy was shot. So why the hell were you talking about power tools before?" What, you haven't made the connection yet? For those who don't know, that's a pneumatic roofing nail gun. See that tip? That's the very well-designed safety mechanism that won't allow the gun to fire unless significant pressure is applied to the tip. In his infinite wisdom, this guy had decided that the gun would fire much faster and he could therefore get his roofing job done that much quicker with that damned annoying safety tip removed. Somehow he also decided it would be a really hilarious joke to pretend to his buddies to shoot himself in the abdomen, forgetting about the lack of the safety tip. We had no idea what size nail he had been using, but he had enough pain to earn a trip to the OR where we found a single hole in his gall bladder. Nothing else. He did well and went home a few days later. He went back to work a few weeks after that. I can cure a lot of things, but I have yet to find a cure for stupidity. You know you really should nominate most of your patients for the Darwin Award. If you don't know what it is go Google it. Just found this blog from being on FML. You, sir, are amazing. Keep the laughs coming!! And thank you for all you do. Did you take this one out, or just patch up the hole? I messed around with tools at school once when I was about 13. Ended up with a chisel in my thigh. No harm done, save for a small scar but enough to teach me that tools and toys are not the same thing. Everyone makes mistakes and if you work with tools then your mistakes are likely to be painful but there is a difference between making a mistake and being a reckless idiot. Lense washing channels can also be set up to allow workers to quickly and conveniently fresh their cups and cups as an when they need to.